Click anywhere on this image for further details. 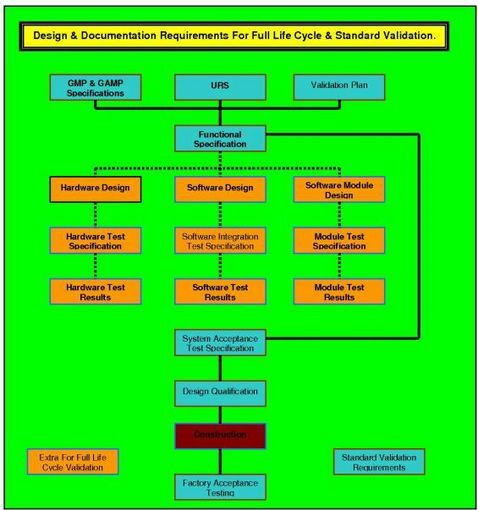 Validation protocol standards can only be guaranteed when all documents are authored using simplified English. The need for this is becoming more apparent everyday, as more and more regulated processes; documented in English, are executed by operators located in areas; around the world, where English is not their first language. When simplified English is used it is much easier for operators and translators to ensure the original authors written instructions are replicated accurately. 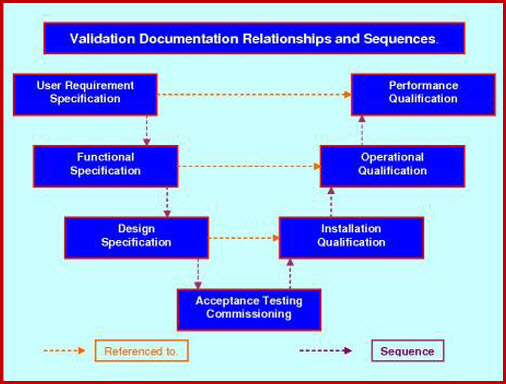 Validation Protocol standards must be used for writing the Functional Test (FT) if it is to be a stand alone document that can be executed and reviewed as part of the operational qualification. The FT should first be written at the FAT stage. This means that your vendor should write it, and so the vendor does in a high percentage of instances. It is criminal that having spent hundreds of hours authoring, developing and finally executing a detailed FAT at the factory, the document is allowed to die and never be used again. For instance in a project Validation Online was closely involved in, 87 people spent nearly one year in raising, approving and executing the FAT for a Distributive Control System, while on site, 30 people spent over a year writing the OQ qualification test scripts. The FAT reviewed and condensed would have done a much better job, partly because it was written by staff, who had direct access to the design staff who designed the DCS, but mainly because it was ready, and should have been freely available from the vendor. The FAT and the FT, are the same as the re-qualifying tests that are carried out on laboratory and process equipment. It becomes a little obvious that if these document's were written to normal validation protocol standards, then, the one document could be used for the testing section in documents like, the FAT, FT, qualification and re-qualification of equipment. Main Sub-headings in Test Script. A Rationale; giving the reason and or object of the test. General details that must be adhered to. The test result must be initialled (or signed) by the person executing the tests, on completion or at each significant stage. 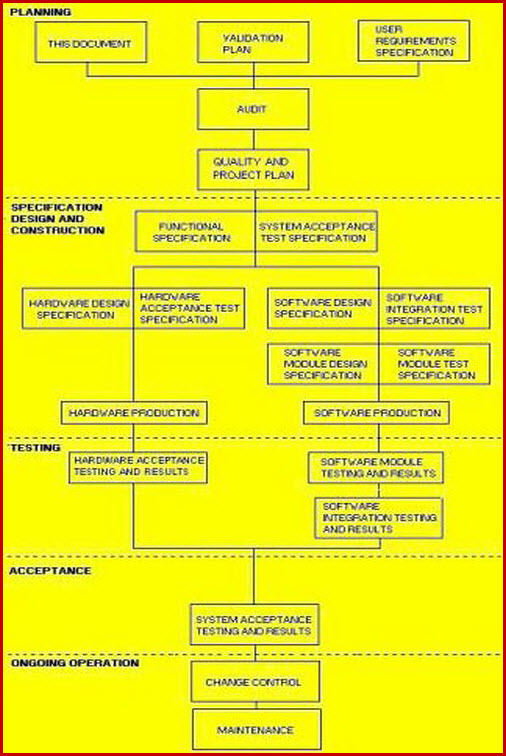 Each test must be designed to verify an element of the equipment functionality. Each test must a have a result that is clear, unambiguous and known. The test method must call up for the recording of the test result parameters. (no ticks or tick boxes, no generalities). Each test must be witnessed or the results must be reviewed by a competent person. The overall test results must be approved by a competent person. The Risk and Part 11 Validation Risk Assessment (VRA) protocol is becoming the most important document in the validation train. The VRA reassures the regulators that you have looked at specific equipment functionality and considered the appropriate level of validation that is required. You have also considered various aspects of its use and the implications of any malfunctions. From the results of this exercise the scope of all validation activity can and must be justified. This is a robust and simple to execute document, one that will lead you through the process and deliver a result that can be used as the foundation for your validation activities. This VRA now includes the assessment table for categorizing and documenting the new 21 CFR Part 11 guidance ruling on what predicate data must be stored in a Part compliant system, along with the new broadsheet to establish your new database of part 11 records. (now mandatory).